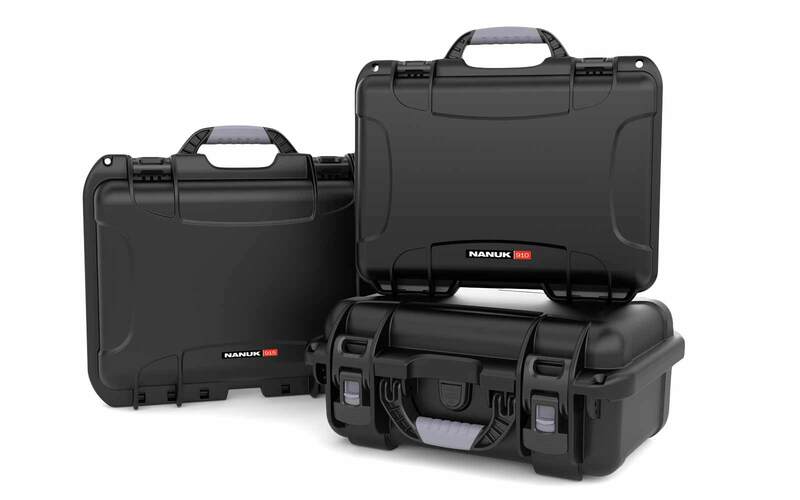 One of the larger members of Nanuk’s line of small cases, the Nanuk 908 is designed for those looking for a convenient storage solution for bulkier gear. This versatile case combines a compact footprint similar to smaller sizes, but is built with a greater depth for more storage and better organization. Along with convenience, the 908 features all of Nanuk’s well known high-grade protection. Certified waterproof, dustproof, and shockproof, this reliable case is built to take a punch so your gear doesn’t have to. No matter the mission, you can rest easy knowing your 908 is by your side. Designed and made in Canada, this case is expertly engineered with only the highest rated materials and includes a lifetime warranty to ensure your 908 will be with you for years to come. 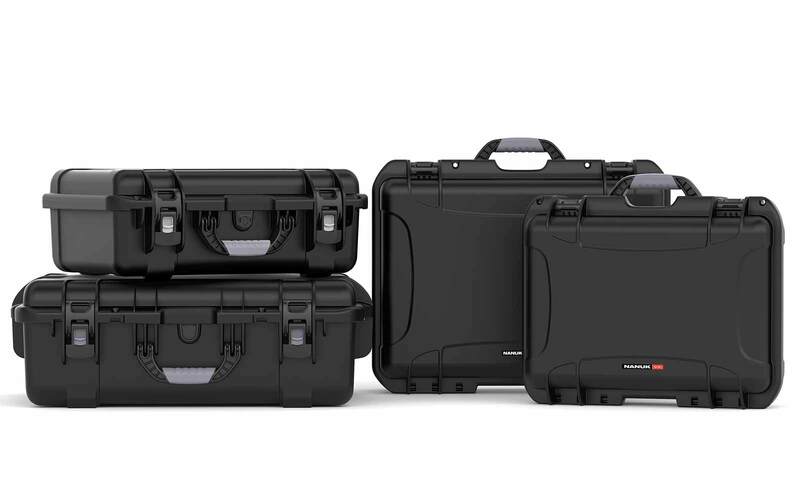 With a deeper depth than similar cases, the 908 is perfect for those looking for a storage solution for bulkier gear and equipment. 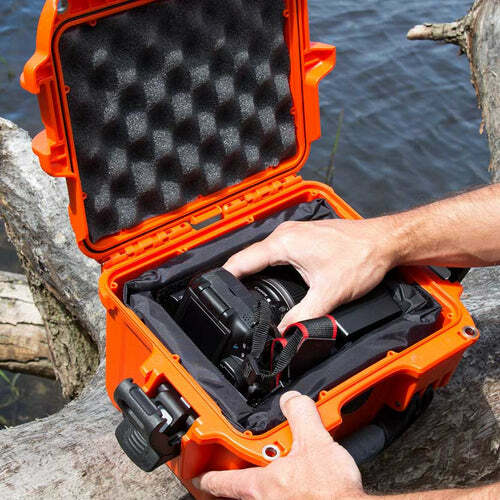 This versatile case offers enough room to accommodate larger gear, like cameras, drones or binoculars, while still maintaining a compact design for easy storage and travel. 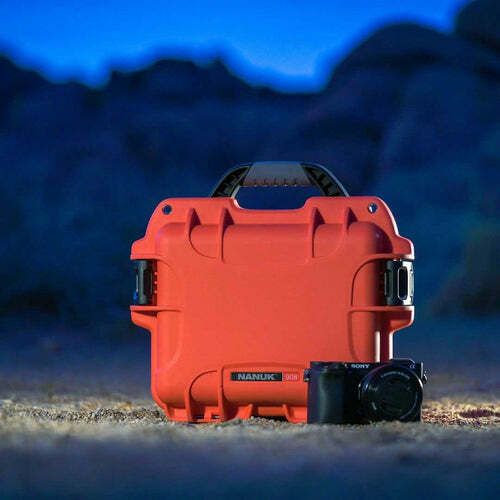 The added depth of the 908 in combination with Nanuk’s high-grade protection features makes this case perfect for storing expensive camera gear during adventures like hiking or kayaking. 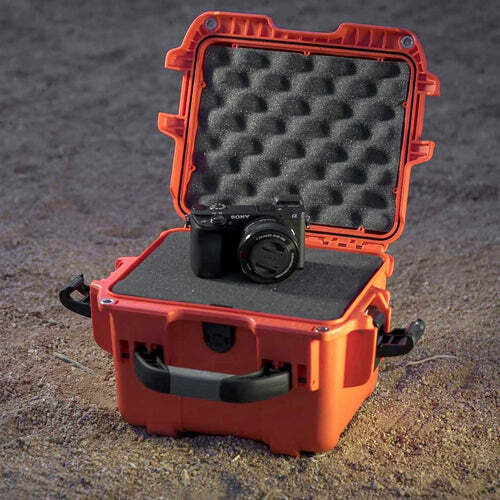 From DSLRs to GoPros, this convenient case is engineered to protect your gear through even the toughest missions. 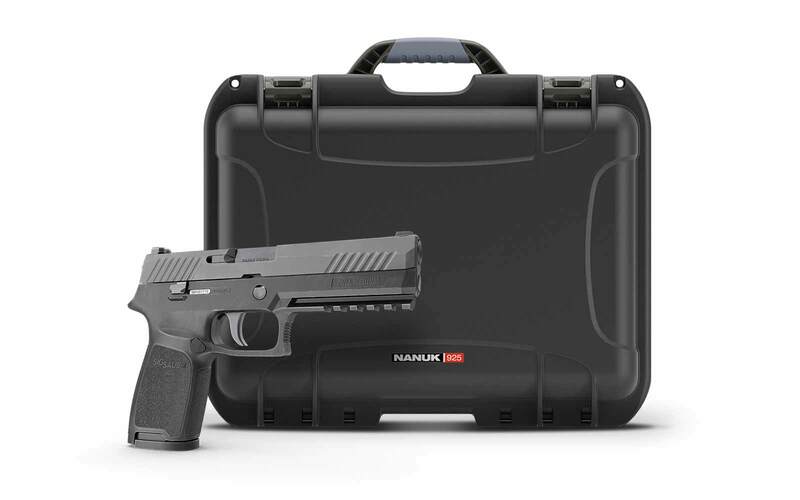 Certified waterproof, dustproof, and crushproof, this durable and rugged case is perfect for safely storing and securing your weapons. Use our customizable foams inserts to create a custom knife case, or padlock your 908 for a safe, discreet storage and travel solution for handguns and ammo. 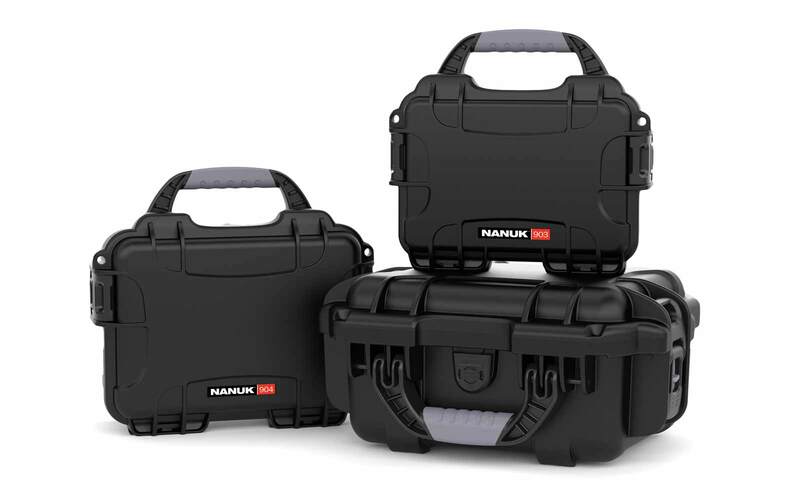 The Nanuk 908 is specially crafted with a number of features for protection, storage, and convenience. Whether you are looking for customizable media or emergency kits, or a simple storage solution, the 908 has got you covered. 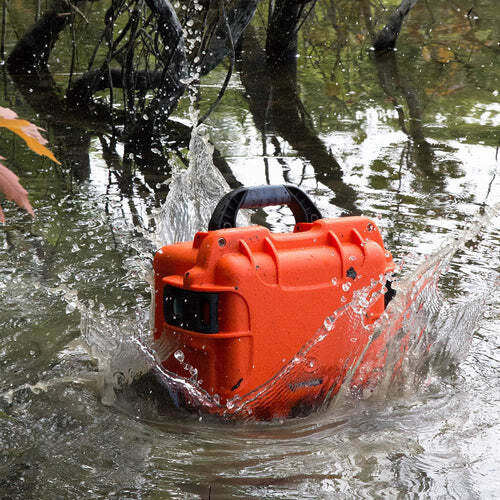 Featuring an impact resistant NK-7 resin and an IP67 waterproof rating, the 908 is guaranteed to absorb any impact and protect gear from water damage in up to 3 feet of submersion. The 908 is expertly crafted to protect against theft and accidental opening. 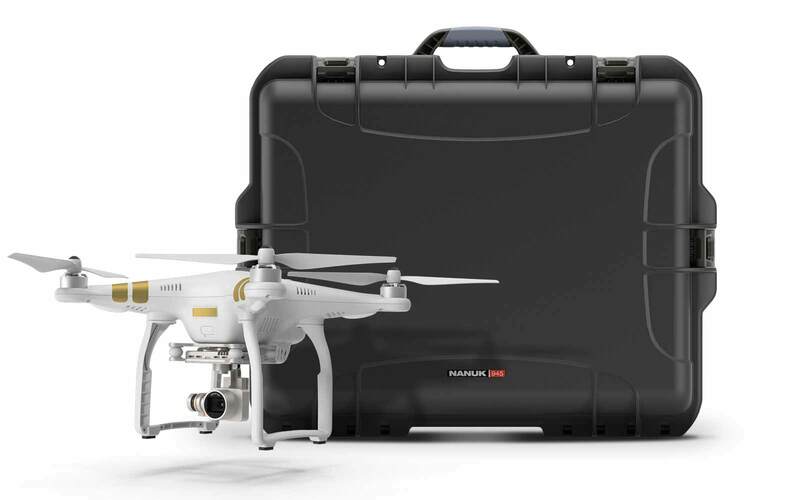 This reliable case features Nanuk’s patented PowerClaw™ Latching System and padlockable hasps to keep it clamped tightly shut and ensure your gear is secure against theft. Engineered with Nanuk’s stacking feature, soft grip handle, and handle stay feature, the 908 is as convenient as it is durable. These innovative features make it easy to stack your case with others of the same size and ensure convenient and comfortable transport. Crafted with integrated lid stays, the 908 is designed for convenience and accessibility. Molded into the 904’s lid hinge, the integrated lid stays ensure that the case lid stays open when you need it to and removes the risk of the lid snapping on your fingers. Built with marine grade 304 stainless steel hardware, the 908 stands as a testament to Nanuk’s dedication to high quality material. 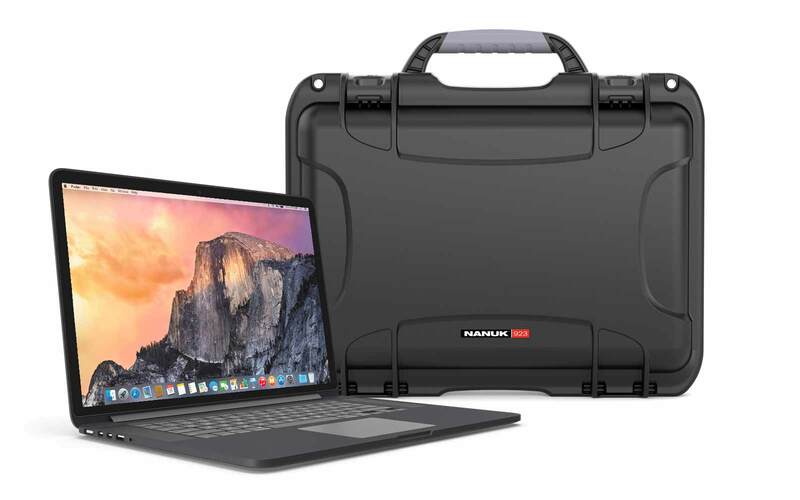 By selecting only top grade materials, Nanuk ensures that your case is built to last. The 908 is also designed with an integrated bezel system to make customization easier than ever. With this feature, bezels are included on the lower portion of each case, making it simple to install panel kits by removing the need to drill additional holes or install a secondary bracket. Are you looking for additional organization or security features for your hard case? The Nanuk 908 is offered with a variety of accessories and options made to meet your personal needs and preferences. 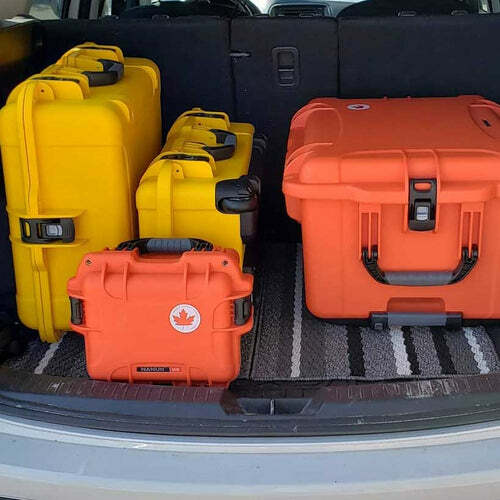 With our cubed foam inserts, customizing the interior of your hard case is simple. Easily create a custom mold by cutting through the padded cubed foam for convenient and sturdy protection. For a more versatile organization solution, the padded divider and egg shell foam insert are the perfect protection duo. This long lasting accessory offers a simple organization solution that allows you to easily swap out your gear for different uses. Nanuk’s TSA PowerClaw™ are a great solution for added security during travel. 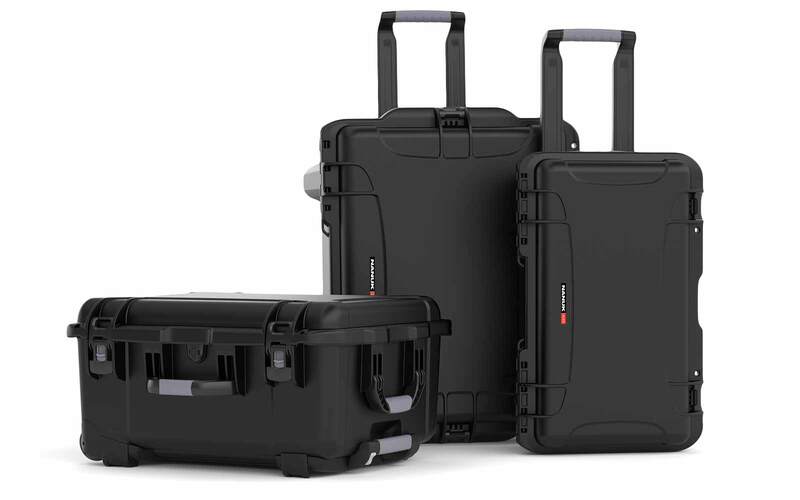 Compatible with almost every Nanuk case, these lockable latches are perfect if you frequently travel by air. Unlike a regular latch, these TSA approved latches are designed so that airport security can gain access to your case using a special key. (Easy Installation required). 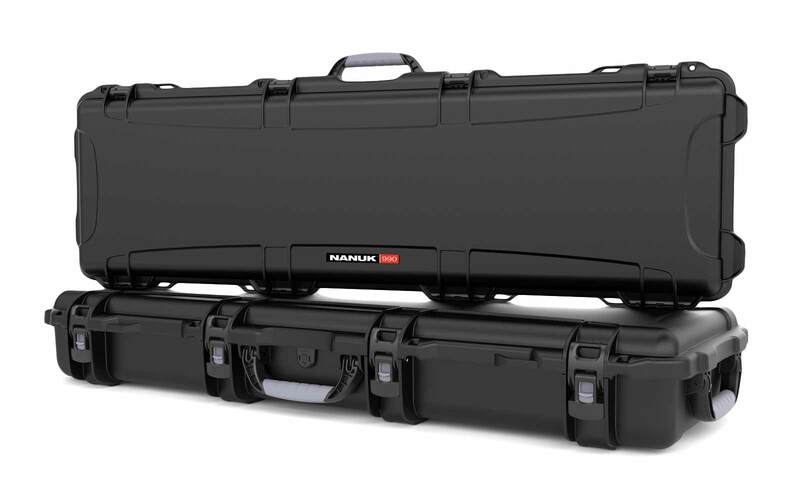 Nanuk’s shoulder strap makes transporting your hard case easy and convenient. This strap is designed with Aircell™ technology to reduce fatigue and make travel simple and comfortable. Whether you are looking for a case easily visible in a variety of terrains, or you prefer a case that is sleek and discreet, you’re sure to find what you need in the 908’s colour variety. From From bright orange to a modern graphite, the 908 has a colour for every need and preference. Exterior L12.5" x W9.8" x H8.0"
Interior L9.5" x W7.5" x H7.5"
Je suis souffleur de verre et mes clients utilisent les cases pour ranger/transporter leurs pièces. Ils sont moins cher que les pelican et de meilleur qualité, les clips sont plus durable et facile à manipuler. This is the best case I’ve ever put my hands on! It’s exactly what I was looking for. I will definitely be buying more in the near future. Love the look and feel of this case. Arrived just as described. Love it ! Aucun souci de protection contre les chocs afin de trimbaler une caméra photo de valeur, partout! J’ai choisi ce produit Nanuk 908 pour son format compact de bonne capacité pour y loger un boitier avec son chargeur et une lentille faisant 5.25 po de long. De plus, c’est fait au Canada, soigné au niveau design et fait de matériaux solides. What does it mean PowerClaw Latching system? 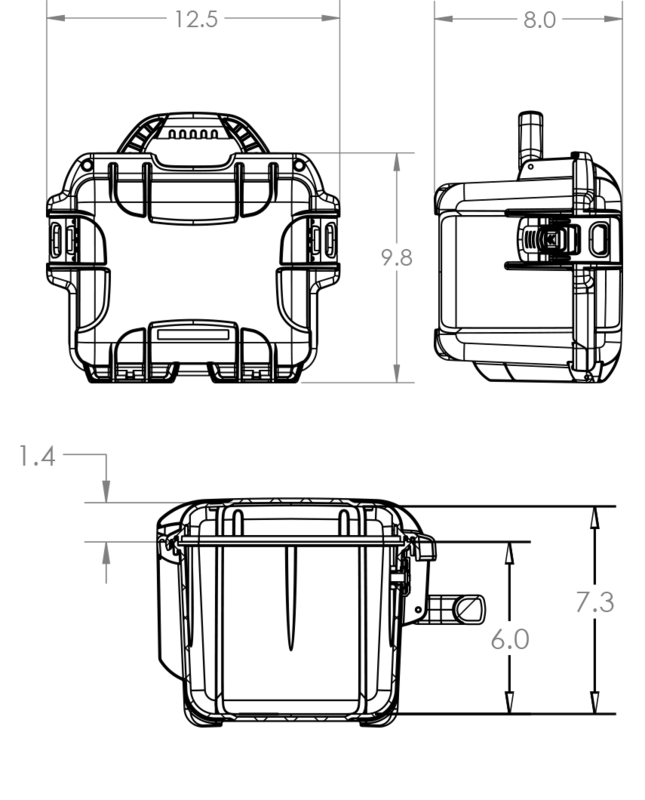 The patented PowerClaw latches clamp the waterproof cases tightly closed using compressive force while the integrated slide lock prevents the case from opening during transport or when dropped.The patented PowerClaw latches clamp the waterproof cases tightly closed using compressive force while the integrated slide lock prevents the case from opening during transport or when dropped. Yes, the shipping weight for Nanuk 908 is 4lbs.